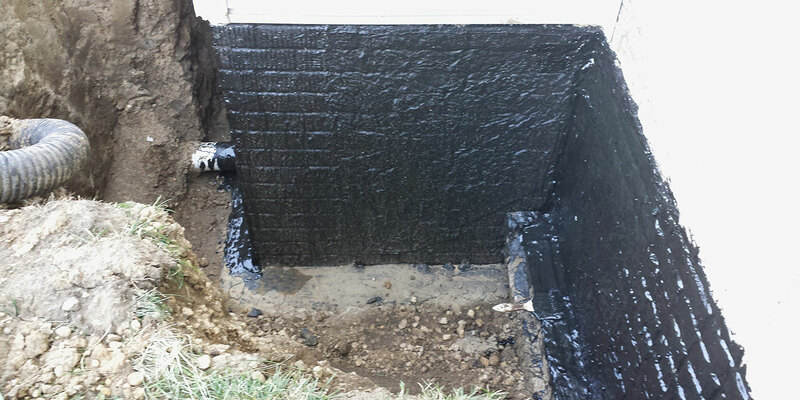 By and large, the interior method of waterproofing is the most common method of waterproofing your basement. However, we also install an exterior foundation coating to prevent water from entering the basement in the first place. In this process, we coat the top of the footing all the way up to above the grade. 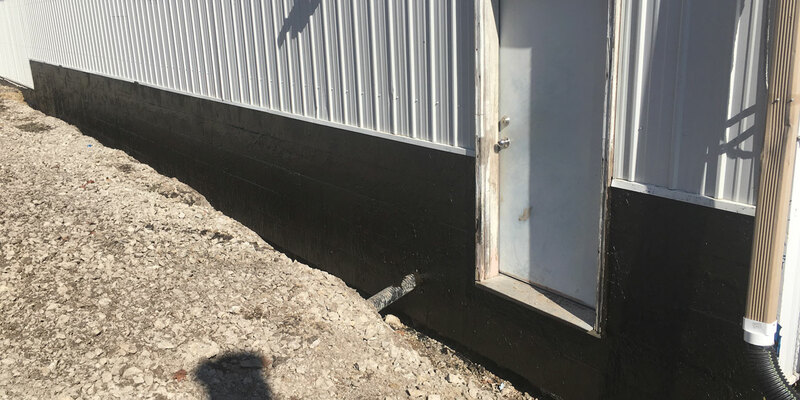 This application may be installed on all foundation types, including cement block, poured concrete, limestone, and brick. 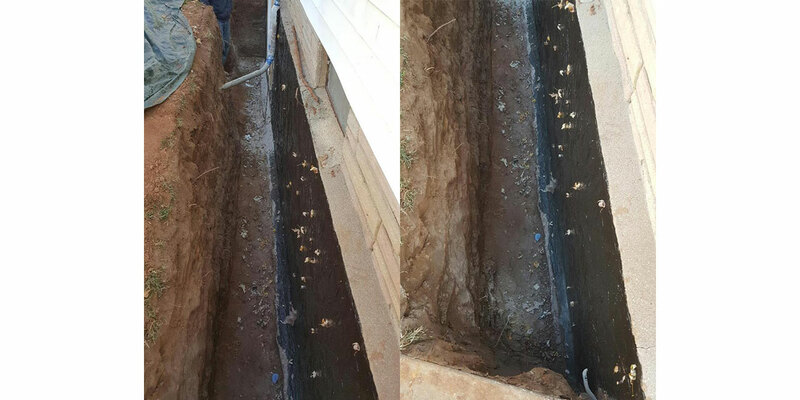 In the first step of exterior waterproofing, we remove dirt from the grade all the way down past the top of the footing. A wire wheel is then used to remove all excess dirt from the exposed foundation and footing. After the surface is prepared, we brush coat the foundation with a thick later of HLM 5000, letting this initial application set up for a minimum of two days. 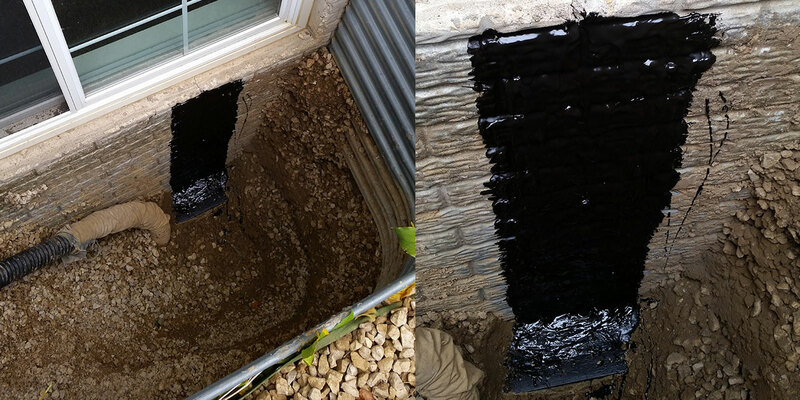 We return and apply a second coat of HLM 5000, install a heavy mil plastic barrier, and replace the dirt. Please note that although the manufacturer of HLM 5000 only recommends a single coat, we apply two coats as a standard to ensure maximum waterproofing protection for your home. An optional manufacturer warranty is available for the HLM 5000 coating. Please contact us for more details at 800-981-0986. Serving the entire Quad Cities and surrounding area including Moline, Rock Island, Davenport, Bettendorf, East Moline, Cedar Rapids, Iowa City, Muscatine, Clinton, DeWitt, Dubuque, Geneseo, Eldridge, Coal Valley, Milan, Galesburg, Peoria, Sterling-Rock Falls, and Rockford. 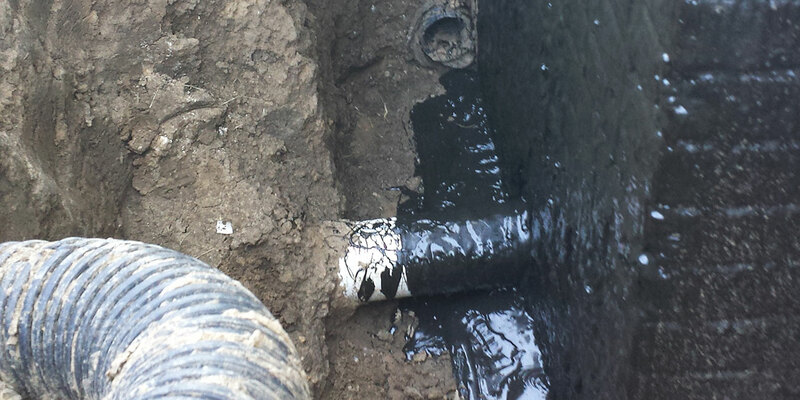 © Copyright 2019 Absolutely Dry Basement Waterproofing, Inc. Call the Absolutely Dry Guy today!